Yes another one. This one by request. Derek is flying back from Ireland late this evening and decided he would like some soup for his supper. Or should that be soup for a ‘pea souper’ given the fog in London tonight? 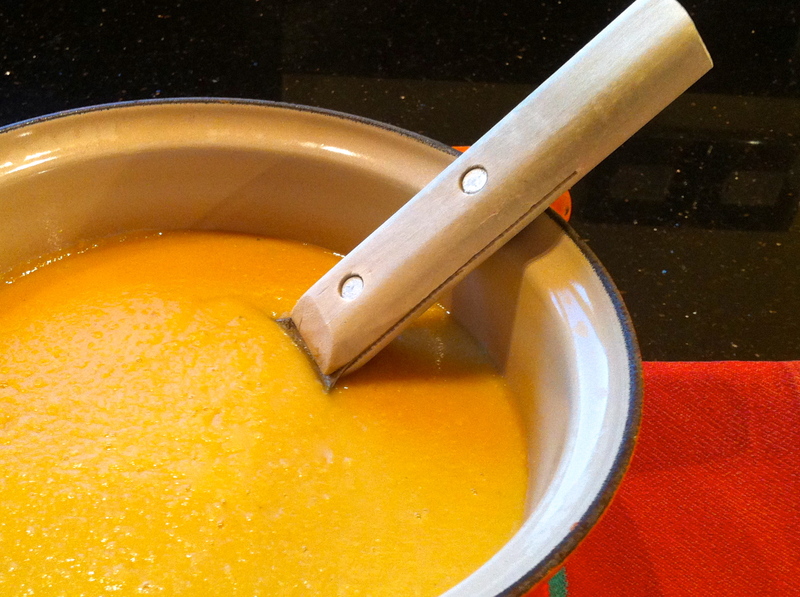 Having been gently chastised for adding cream to my leek and potato soup by Jenn over at Gardenclickers I decided on something perhaps a little less rich but just as rib sticking and soothing, so yellow split pea it is. And an hour or so later finishes up like this. Soak the peas overnight, rinse, replace water and simmer for about 30 minutes until soft. Drain, rinse and place in a clean pan with the stock. Soften the carrot, celery and onion in the olive oil. Add to the peas and stock. Simmer for 30 minutes then blend until smooth. I think this would be really good with some little bits of fried chorizo or bacon on top but since we haven’t got any I’m going to make some fresh chilli butter. 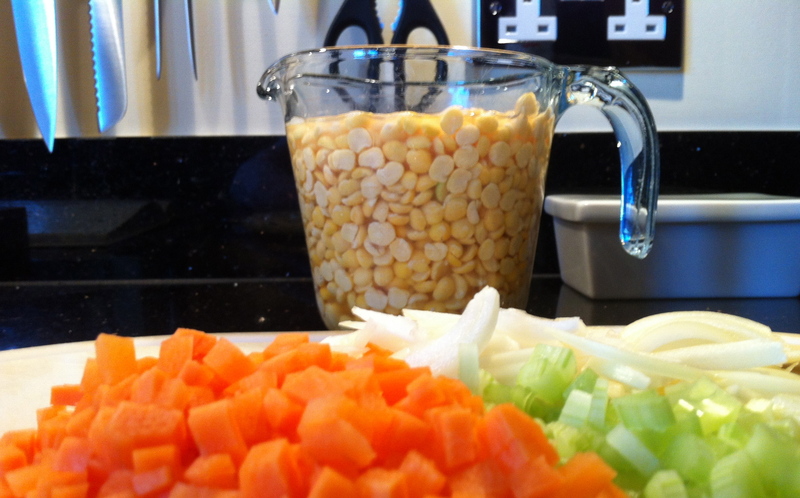 I have never tried soup with yellow split peas – it looks delicious – may well give it a go. Thanks for sharing. Thank you for taking the time to read Elaine. I really love pulses in soup. Thank you so much for your kind words. I love the simplicity of this recipe, just a handful of ingredients to make something properly delicious. Hello Jenn and thank you for your kind comments. I hope all is well with you and that you had a good Christmas/New Year. I’m looking forward to spending some time on Gardenclickers this week catching up with everyone.